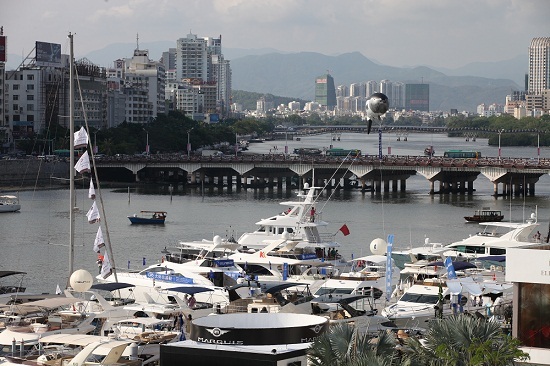 The third edition of the annual Hainan Rendez-Vous took place on April 5th to 8th and drew more high net worth visitors, more yachts, and more ultra-lifestyle brands to the shores of tropical Sanya City than did the two previous editions of the show. The four-day event generated billions of RMB in business, and is receiving strongly positive reviews from sponsors, exhibitors and visitors alike. The 2012 Hainan Rendez-Vous took place April 5th to 8th and was the biggest edition so far of the yearly show that attracts thousands of China’s financial elites to the Riviera-like shores of Sanya. 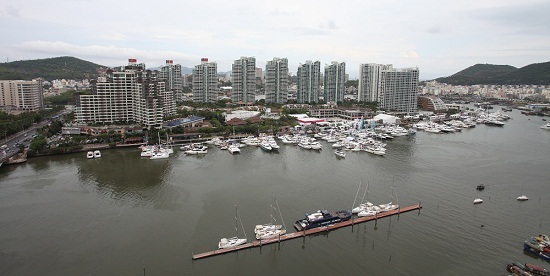 Electronic ticket scanners counted 21,422 visitors entering the main fairgrounds where the event’s yacht show and ultra-lifestyle exhibition were held, of whom over 53% were specially invited VIPs. Some 967 holders of the show’s ultra-exclusive VVIP passes attended the invitation-only business jet static display. The elite crowd was matched on the exhibitor side by the world’s eight leading makers of business jets, dozens of leading names in the global luxury yacht industry, and ultra-upscale brands of real estate, supercars, haute joaillerie, watches and numerous other product categories. Based on reports received so far, organisers are confident that this year’s edition generated transactions of several billion RMB. A fleet of some 130 boats was about 30% larger than that of last year’s edition, which was Asia’s largest yacht show for 2011. Not only were there more boats, but the ships themselves were larger overall. Vessels over 30 metres included the 49 metre Lohengrin from US-based Trinity shipyard, Feadship’s new 44 metre Helix, the 50 metre Northern Sun which was berthed by the Mandarin Oriental Hotel, the 42 metre Star brought by YPI, the 33.5 metre Lady Gaga and 36.5 metre Muses from Horizon Yachts, and the 38.5 metre Onyx by Sanlorenzo. 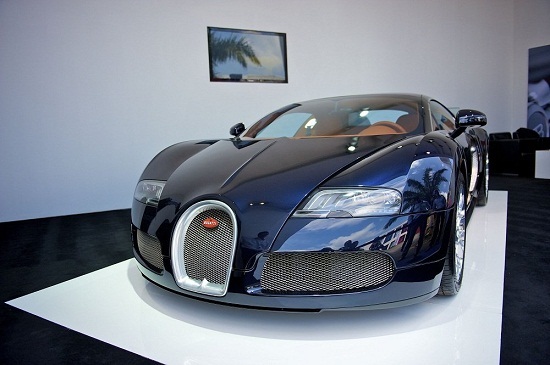 The Bugatti Veyron, the vehicle that has claimed the title of world’s fastest car, was among the big draws in the automotive section, along with the latest exciting models from BMW, Bentley, Rolls Royce and AMG. The French government’s agency for international business development brought over a dozen of the nation’s renowned luxury maisons, including makers of customised catamarans, renowned foundries producing handcrafted metalwork, and providers of ultra-exclusive tourism experiences that were especially well received by Chinese visitors. Another centre of social interaction at this year’s Hainan Rendez-Vous was the ART IN HAINAN art exhibit inside the Visun Royal Yacht Hotel. Organised by artist and gallery owner Magda Danysz, this year’s exhibit featured works by eight internationally famous artists, including Maleonn, Claudio Colucci, the Leroy brothers, Liu Dao, Ying Yefu and Tian He. Three conferences on Art in Luxury, Corporate Sponsorship in the Arts, and The Art of Collecting were well received by some 250 guests and generated considerable discussion. "We are enthusiastic about the results achieved during Hainan Rendez-Vous 2012," said Giuseppe Zecchin, Asia Pacific area manager for Ferretti Group. "HRV has become the most important event in Asia. We have already started to plan our presence for next year’s edition." "Chopard has been the Official Partner of the Hainan Rendez-Vous since the beginning in 2010. On the occasion of its 3rd edition, Chopard exposed some of its latest High Jewelley creations as well as a preview of the Red Carpet collection. I was delighted by my trip to China. The Hainan Rendez-Vous is a very prestigious event assembling top luxury products from different categories. I look forward to coming back next year!” said Mrs. Caroline Scheufele, Co-President of Chopard.